We experience a high demand during the summer months so please book as early as possible. 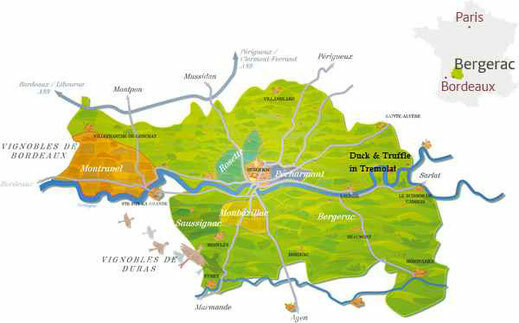 The Dordogne is known to millions of visitors for its history, natural beauty and gastronomy, but did you know that the Bergerac region is also home to over 12,000 hectares of vines, 13 AOC and more than 900 wine-growers? But where do you start? Join us on for a day wine tour or home wine tasting to discover more. 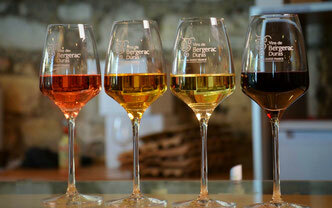 Our full day wine tours provide an introduction to the spectacular wines of Bergerac, visiting 3 vineyards. 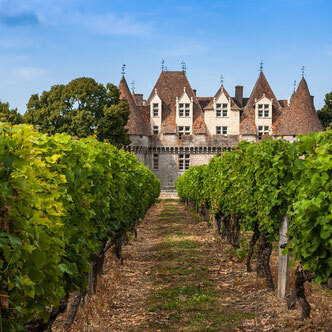 Our tours run Wednesday to Saturday from 10.00 - 18.00 and you can enjoy a fabulous lunch at La Tour des Vents, a Michelin-starred gastronomic restaurant in the heart of the Monbazillac vineyards with exceptional views. We collect you from your accommodation (there is a small additional cost for pick-up outside of a 10km radius from Tremolat) and, whilst travelling between vineyards, we share our local knowledge and explain about the different terroirs and the rich history of the vines providing some key facts before you taste the wines. The price for up to 4 people (total price) is €260 excluding lunch cost. Learn more about our wine tour. has a passion for food and wine. Don’t get us wrong, we don’t know every vineyard, but living here gives us the opportunity to get to know wine makers and local caves à vin to try varieties and appreciate the different wines. We are passionate about food and wine, especially local, and want to share this with you.